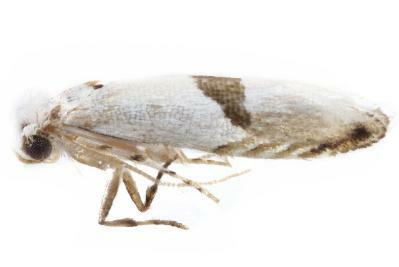 The adult moth has off-white forewings, each with a large dark brown triangle in the middle of the costa, a series of short diagonal brown stripes on the costa by the wingtip, and a brown eye-spot on the wingtip. The hindwings are off-white with dark wingtips. 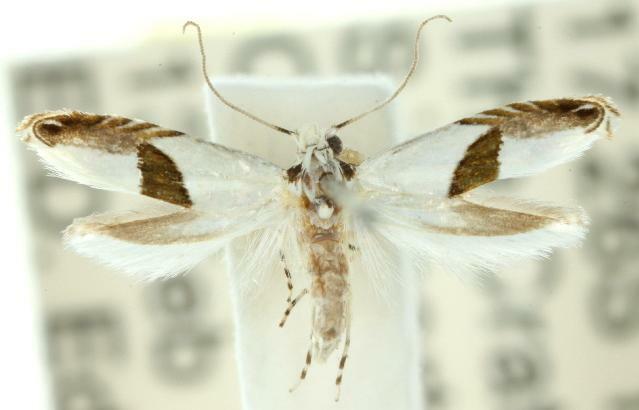 The moth has a wingspan of about 0.8 cm. Volume 1 (1913), p. 147.